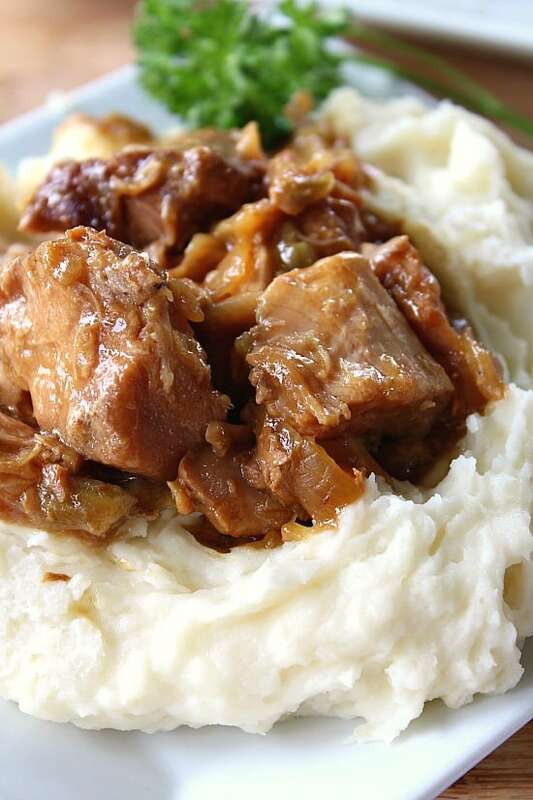 Today was a perfect day for some delicious creamy mashed potatoes with some tender, fall off the fork, pork. 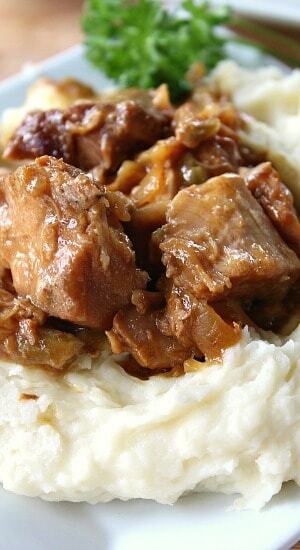 Crock pot pork with mashed potatoes is definitely a great comfort food that you will definitely enjoy. Using the crock pot is such a breeze. Making this meal is super easy. 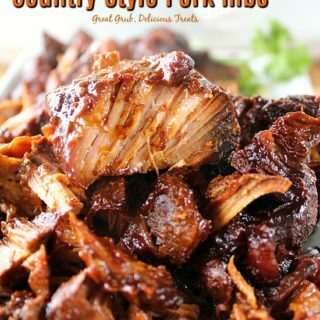 Just add the ingredients for the pork in the crock pot. Let it cook and when it’s almost done, make the potatoes. 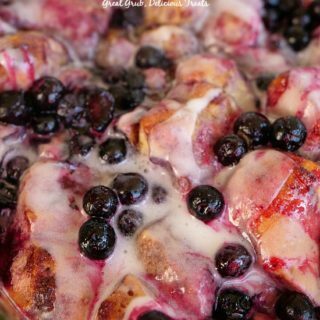 Super easy, super delicious! 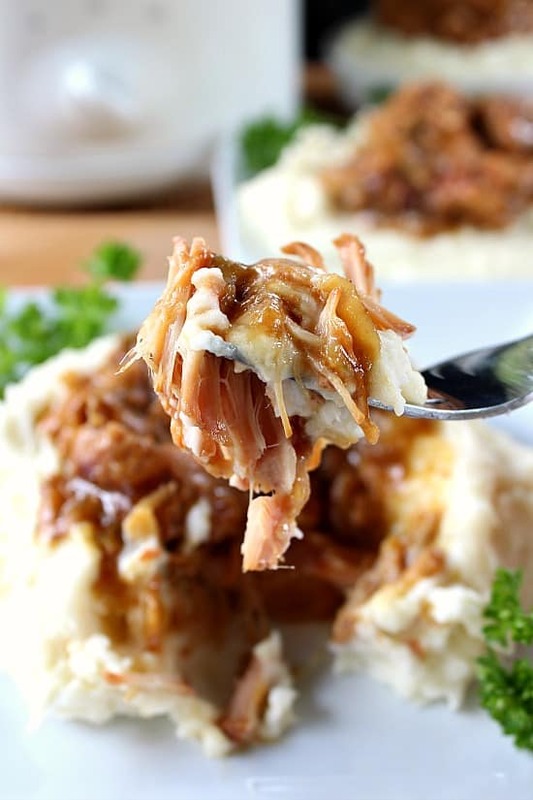 These mashed potatoes are SO creamy. 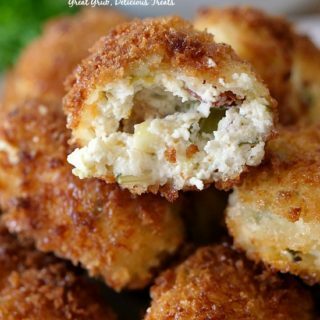 I always add cream cheese to my potatoes, which just gives them the creamiest texture. 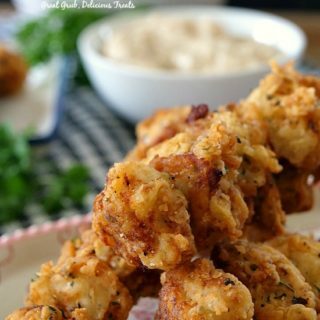 Not only are these creamy, these mashed potatoes are fabulous! 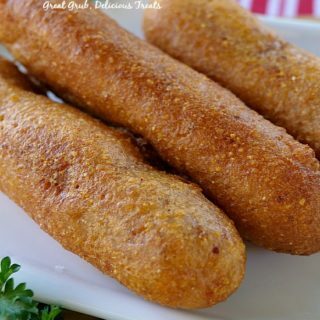 Check out that bite… So yummy! 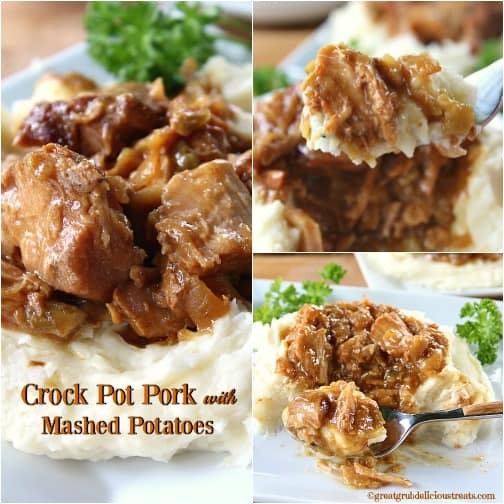 Are you a crock pot user? If not, and you have one stuck back in a cupboard somewhere, just pull it out and plug it in. You will be soooo happy you did. 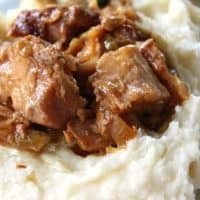 I have a friend at work who doesn’t cook very often at all and I’ve almost got her convinced she can make these delicious crock pot recipes. SO EASY! Right Lisa?? So, all you have to do is cut up an onion, add it to the crock pot. Place the pork chops on top of the chopped onions. Sprinkle the garlic salt, pepper, onion soup mix on top of the pork chops. Next, add the soup, the water and cover. Turn crock pot to low (or high) and go about your business. Hours later, there you have it, a delicious meal with hardly any prep time. 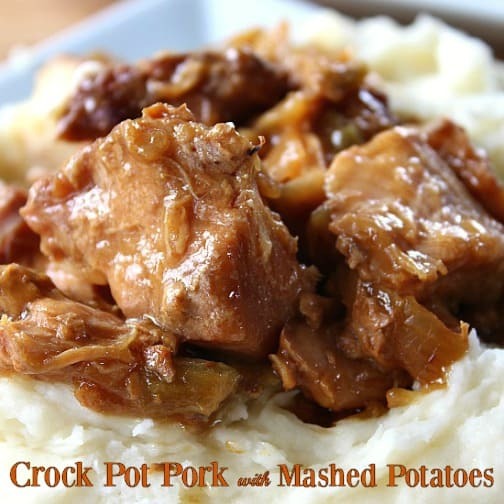 Actually, the only real time spent making this crock pot pork with mashed potatoes is peeling the potatoes and waiting for them to cook. Once cooked, I usually use an electric mixer when making my potatoes. Just easier. The only bummer about making this is that we didn’t have any leftovers, it was that good. I started this pork late last night, got up and the aroma in the house was amazing (I actually had two things going in two different crock pots last night, pork country style ribs which I’ll post later). Anyway, I started my potatoes about 1030 am and we were having this heavenly meal for lunch. 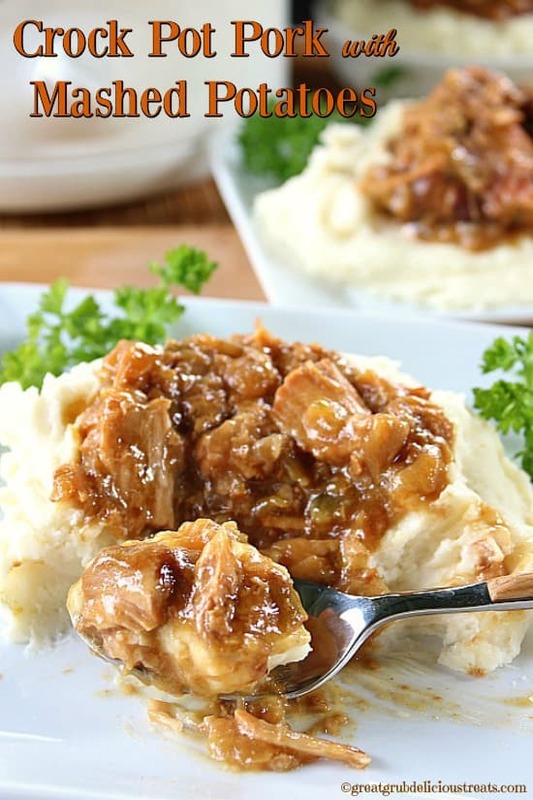 Crock pot pork with mashed potatoes = comfort food at it’s best! 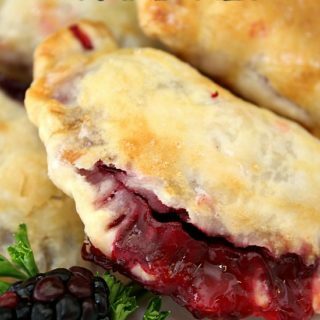 Try this delicious recipe today! 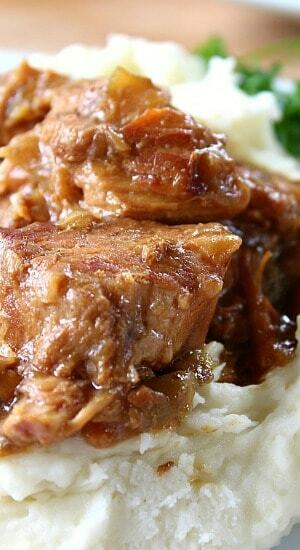 In a small crock pot, add onions, pork chops then sprinkle with garlic salt and pepper. Sprinkle soup mix over pork chops. Next add cream of mushroom soup and water. Cover and cook on low for 8-10 hours or high for 6 hours or until meat is fall off the fork tender. 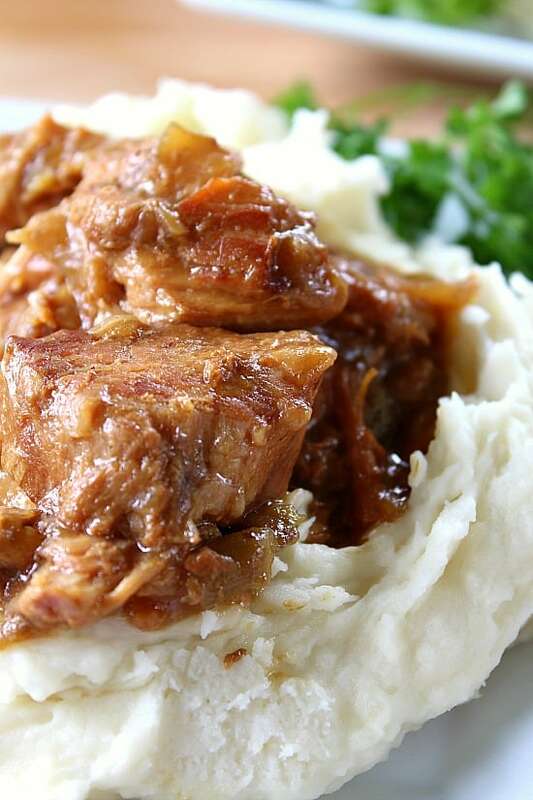 Serve potatoes topped with pork. Approximately how much (weight) pork did you use?